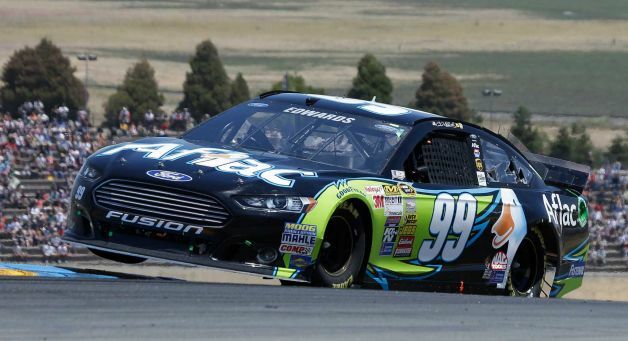 Carl Edwards won a road-course race for the first time in his Sprint Cup Series career after holding Jeff Gordon in the closing laps of Sunday’s Toyota/Save Mart 350 at Sonoma Raceway. Edwards took the lead on a restart with 25 laps remaining and seemed to have the win wrapped up, but Jeff Gordon nearly chased him down on the final lap. Gordon, a five-time Sonoma winner, had one good look at Edwards but couldn’t pull off the pass. Edwards’ win is his first career victory on a road course, and he’d never been higher than third at Sonoma. 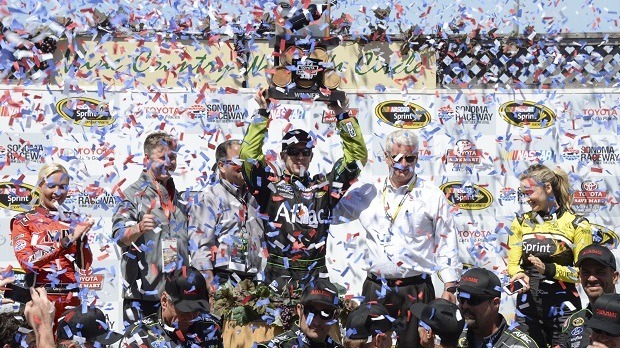 It was his second win of this season and locks him into the Chase for the Sprint Cup. Dale Earnhardt Jr. was third after rallying from an incident that wrecked Matt Kenseth, and was apologetic on the radio and after the race. “I tried to screw it up a couple of times in the race, but I calmed down and was able to get a good finish,” Earnhardt said after his career-best finish on a road course. “I got into Matt, I jumped a curb and jumped into the air and just ran into him. Jamie McMurray, the pole sitter, finished fourth, and Paul Menard took the fifth spot. 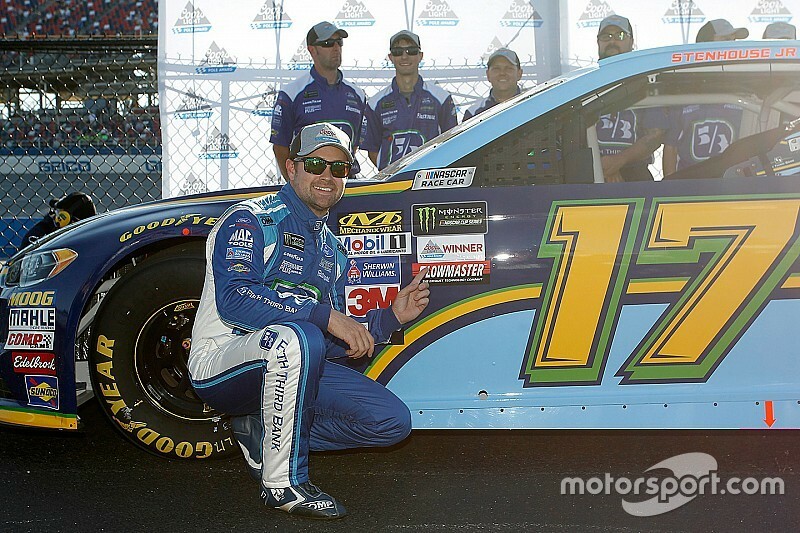 Ambrose wound up finishing eighth, while Greg Biffle, who is Edwards’ teammate, and Clint Bowyer completed the top-10.